Hardened and tempered, drop forged alloy steel. Wide claw ends. Integral nail lifter. L end can be struck with a hammer. Ideal for opening crates, lifting floorboards and removing architectural mouldings and panels. 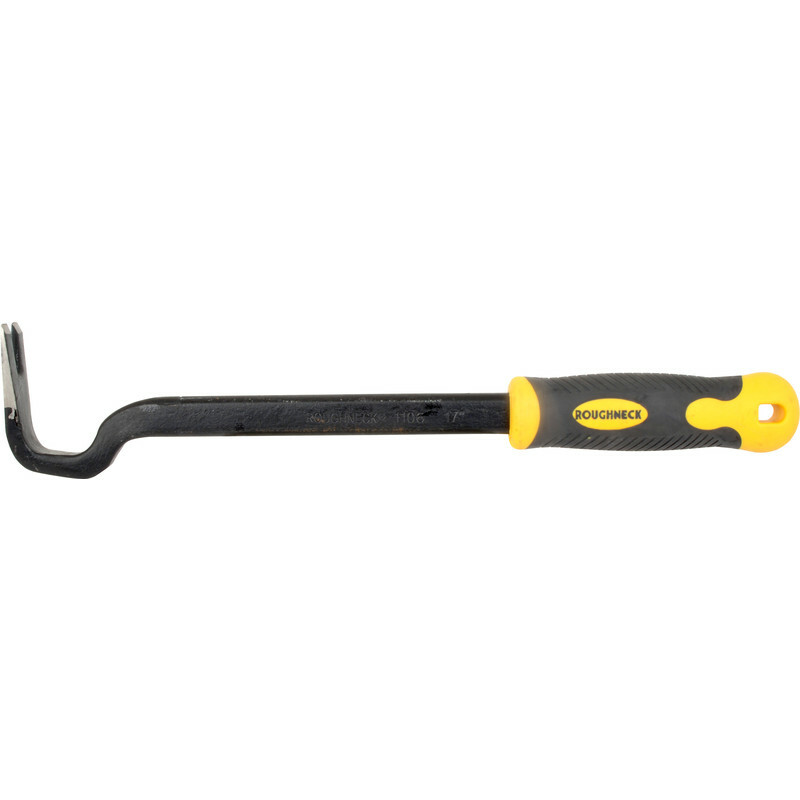 Roughneck "L" Shape Bar 17" (430mm) is rated 5.0 out of 5 by 4. Rated 5 out of 5 by Tool guy from Good wee tool Great quality..great value.. Rated 5 out of 5 by Wrecker70 from Excellent tool. I've broken up a number of pallets with this bar. It's comfortable to hold and has good leverage to remove those stubborn nails. Rated 5 out of 5 by Floorbasher from Excellent small crowbar Bought to help with removing old T&G floor. So pleased I did - superb tool for the job, well designed, especially the flat hammering surface, and just the right size.